Dustin Brown scored a pair of goals, Adrian Kempe, Brendan Leipsic and Ilya Kovalchuk each finished with a goal and an assist and the Los Angeles Kings pulled away for a 6-3 win over the visiting Chicago Blackhawks on Saturday afternoon. The score was even at 3 when Kempe scored the go-ahead goal at 8:08 of the second period. Jonny Brodzinski softly flipped a pinpoint pass to Kempe, who quickly turned to his forehand for his 10th goal. 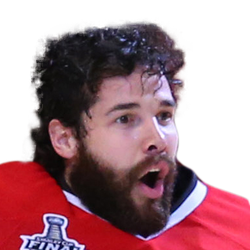 Los Angeles made it 5-3 on a knuckling slap shot by Leipsic that seemed to catch Blackhawks goaltender Corey Crawford off guard. Brown capped the scoring with 1:53 remaining with his second goal of the game and 16th of the season. The outburst came in his 1,100th career game. Crawford allowed six goals on 25 shots in his second start since returning from a concussion. Kings goaltender Jonathan Quick made 29 saves to record his first victory since Feb. 7. He is 12-17-6 on the season. The Kings jumped to a 3-0 lead in the first period before the Blackhawks battled back. 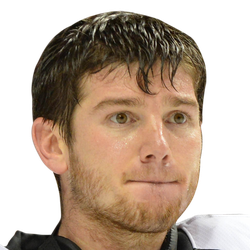 Brown scored a power-play goal on a breakaway 2:23 after the opening faceoff. Another Blackhawks penalty led to Walker's power-play goal less than three minutes later. He scored on a wrist shot through traffic. Los Angeles increased its lead to three goals when Kovalchuk blasted a one-timer past Crawford's stick side. Chicago cut the deficit to 3-1 with 1:14 remaining in the first period when Perlini scored on a one-timer from the high slot. Perlini struck again 2:06 into the second period to pull the Blackhawks within 3-2. He skated in on a breakaway and beat Quick on the forehand for his first multi-goal game since Feb. 15, 2018, with the Arizona Coyotes. Chicago pulled even at 3-3 at 6:57 of the second period. Murphy's long wrist shot deflected off the leg of Kings defender Kurtis MacDermid.